Don’t you wish you could attend a fundraiser without a tie, heels, makeup or even getting in the car? You are IN LUCK! This year, we are launching the first ever “Stay at home and chill with your family and friends” fundraising dinner! You can also feel good about your donation, because all proceeds will benefit the Financial Aid Fund! Brasica, Enab, QI Juices, Al Rifai and El Fornayo. 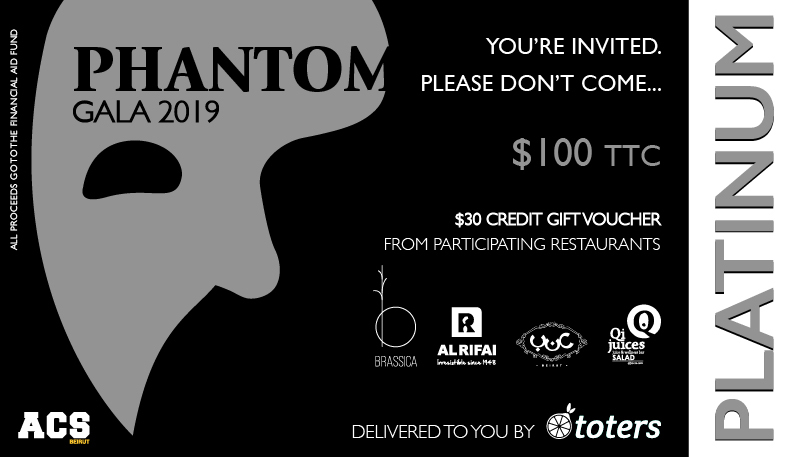 Buy a ticket to attend Phantom Gala and then stay home and order from the Phantom Gala Store on Toters! Toters will deliver delicious food from our sponsors straight to your door, any day of the week between April 1 - April 19. 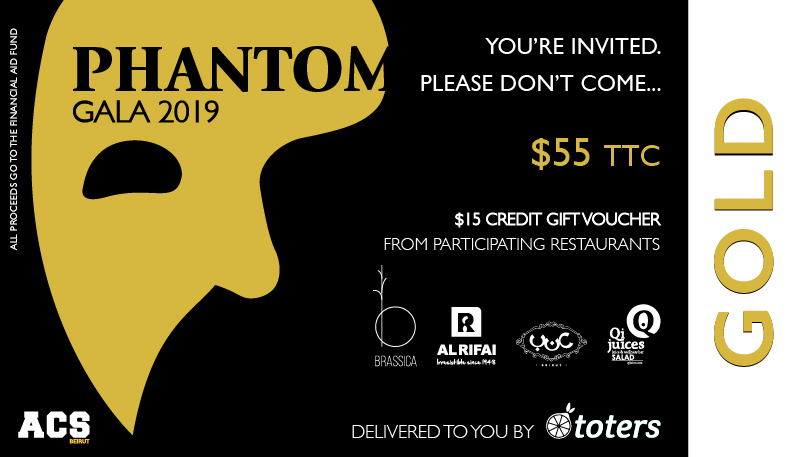 After buying your ticket, you will receive a CREDIT GIFT VOUCHER sent straight to your account, which you can use on any of the five Phantom Gala participating restaurants. Search for Phantom Gala on the Toters Mobile Application. 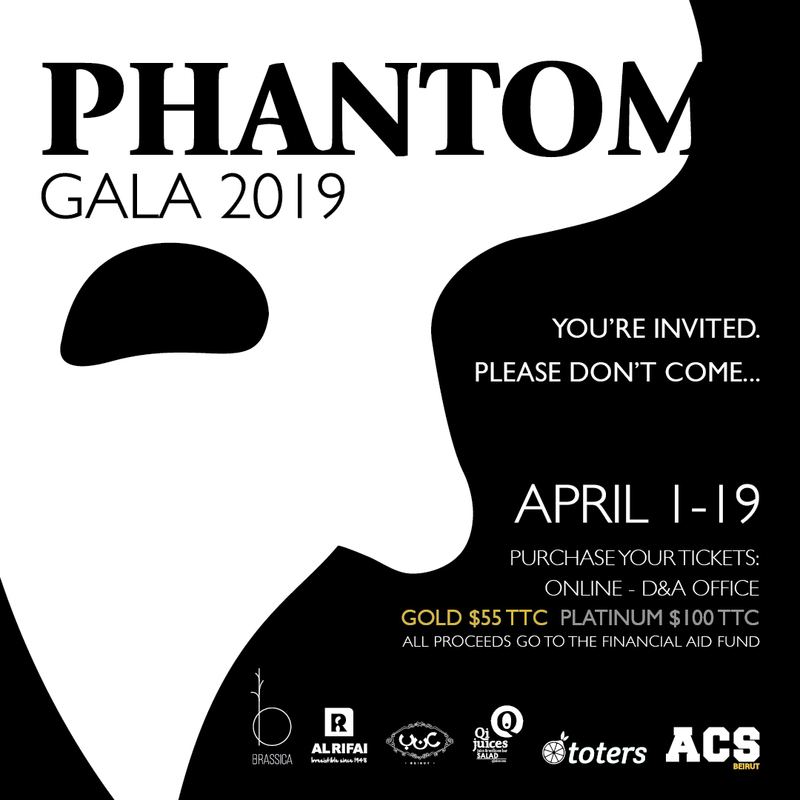 You can access the ACS Phantom Gala Auction page, where you can bid on some of your favorite items, like Head of School for the Day, parking spots and more!